The hope, as recently s a month ago was that a new version of the Strategic Arms Reduction Treaty (SALT) might be successfully negotiated. But Obama’s two other surges — NATO’s expansion inEastern Europe and the rush to implement the US missile defence system around the world — follow so closely the hawkish policies of his predecessors, that whatever “Atlantists” there might be in the Kremlin have been put on the defensive, so to speak. 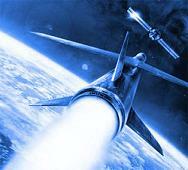 This was the beginning of the Starwars project which effectively ended the Anti-Ballistic Missile Treatybetween the US and the Soviet Union sign in 1972 to refrain from developing blanket missile defence systems, the logic being to discourage any thought of launching the unthinkable. This is not what Obama had in mind last summer when he scrapped the Bush plan to set up bases inPoland and the Czech Republic, a decision Putin called “correct and brave” at the time. But in early December, the US and Poland signed an infamous “status of forces” agreement, allowing the US to station troops in Poland for the first time, as well as, yes, an agreement to build an anti-missile defence system there, now “mobile”.